One of the things that amazed me most about the island formerly known as Ceylon is the diversity it offers in a relatively small area. From the historic sights such as Sigiriya, the nearly empty beaches or the Elephant Safaris there is so much to experience here. 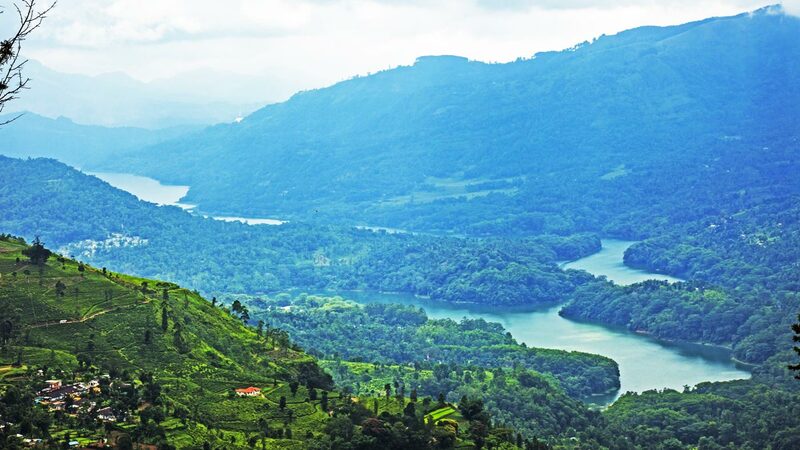 Sri Lanka hill country though certainly came top of my list. The train ride alone is one of the most beautiful train journeys I have undertaken but once you’re here, what’s on offer? 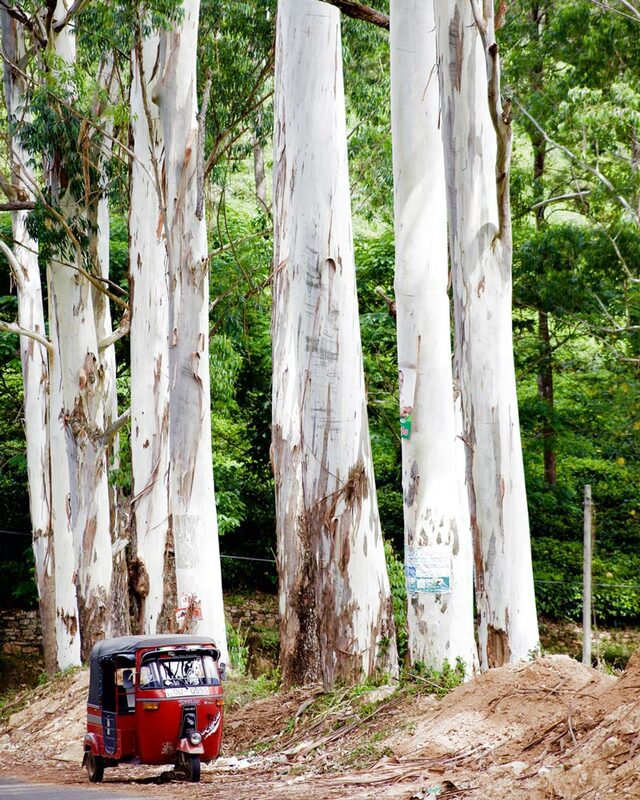 One of the most famous stops along the train route is the town of Nuwara Eliya. The temperate drops as you ascended to nearly 2000 metres above sea level. That’s not the only surprise however, it’s easy to see how it gained the nickname of ‘Little England’ – from the red brick Victorian style postoffice to the quaint colonial style buildings now serving as guests houses and restaurants. The city itself offers a few bars, restaurants and friendly guest houses. I checked into the Windsor hotel on the whim after the manager was so helpful with advice when I stopped in and offered by a great promotional room rate. Basic but comfortable and full of hospitality. But you don’t come here for the nightlife, it’s all about the green stuff! 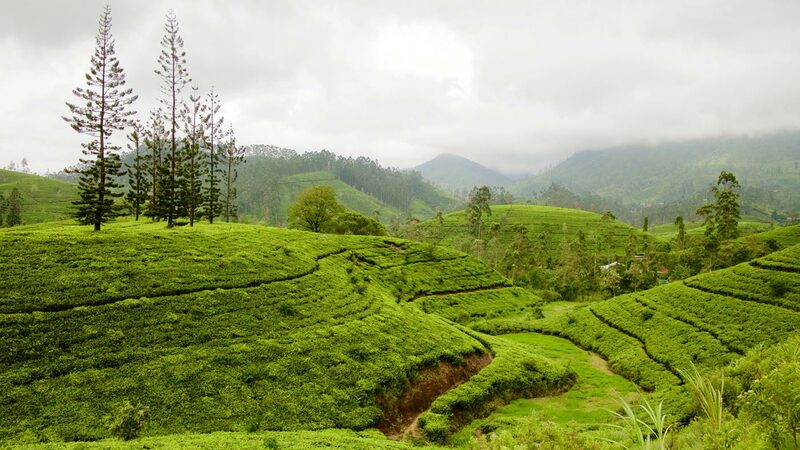 Nuwara Eliya is an ideal base to easily access and explore tea plantations from. You can either hire an inexpensive tuktuk or for less than a dollar head to the bus station for a 30 minute ride out-of-town. I visited two plantations here. The first, and one of the most famous is Mackwoods. 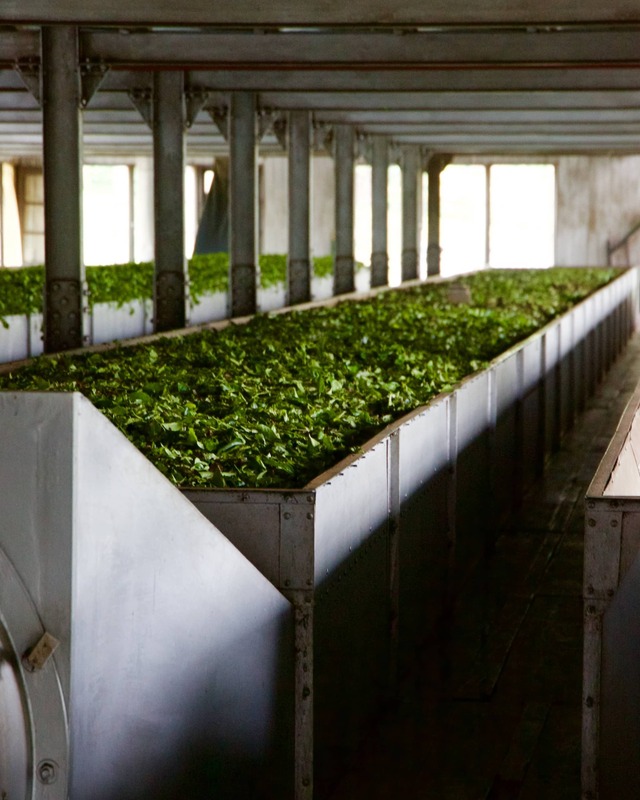 You are free to wander the tea fields as well as taking a guided tour through the factory to see the process of field to tea bag. You’re meant to get a guide but in the true disorganised fashion, I follow I managed to see it all before being told off for going solo. They also have a gift shop with surprisingly expensive tea but serve a great free cuppa! Further along is Bluefields, it turned out to be quite the walk along bendy roads (google maps making 2 miles seem shorter than it is!) but the vistas and views you meet on the way are incredible. I didn’t see anyone else walkign the path, instead taking buses, but trust me – the views like below are well worth the exercise! At one point I thought I had stepped into a greener version of the Norwegian fjords. The area is also an agricultural hotspot, on the way back my tuktuk driver brought me a carrot to eat on the ride. He told me with pride it would be the best I have ever eaten. He certainly wasn’t lying. Near the end of that beautiful train ride you will hit Ella. A dusty street of bars, good eats and curd shops form the main ‘strip’ of the town. 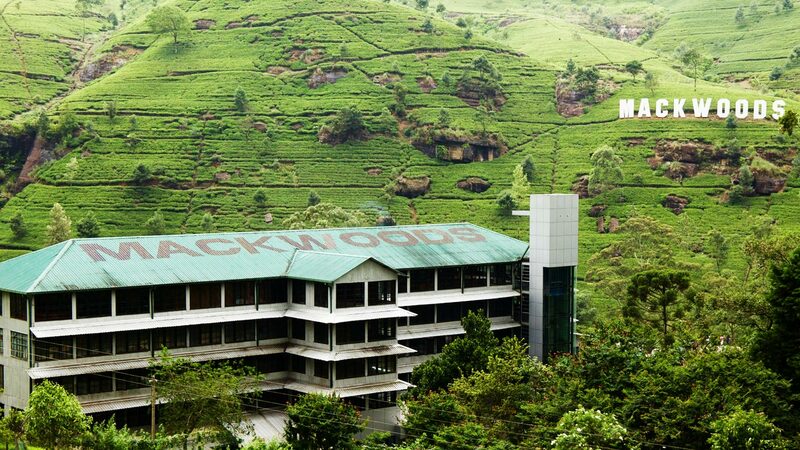 There is a killer kick back and relax backpacker vibe here and with the temperature rising from Nuwara Eliya it is an ideal place to get your nature dose before being beach bound. 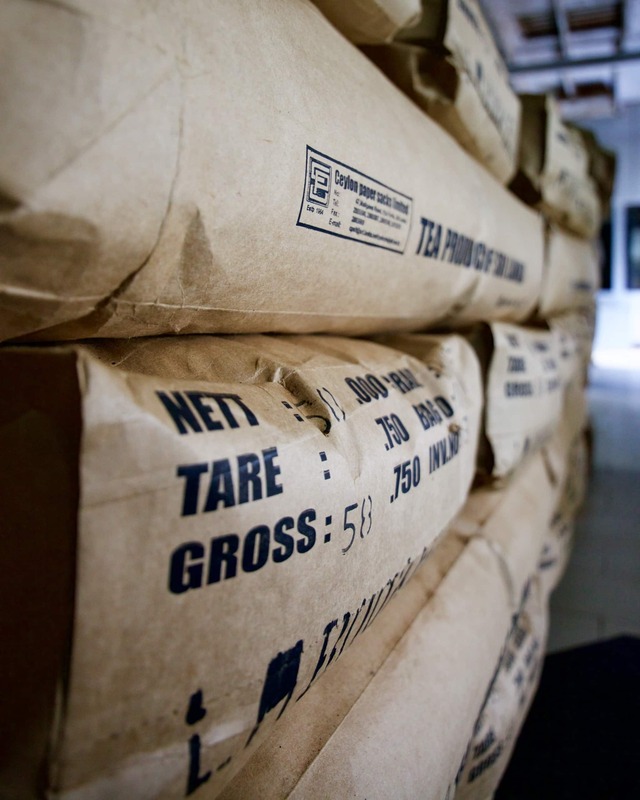 If you haven’t overdosed on tea plantations already, then there are plenty here as well. 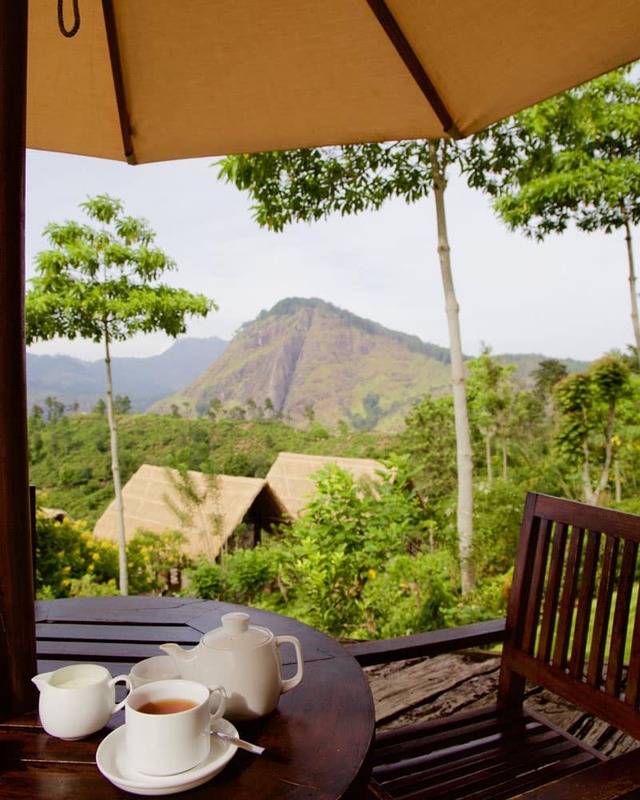 The picture perfect 98 Acres Resort not only has tea in abundance but a great eco-style resort built into it. 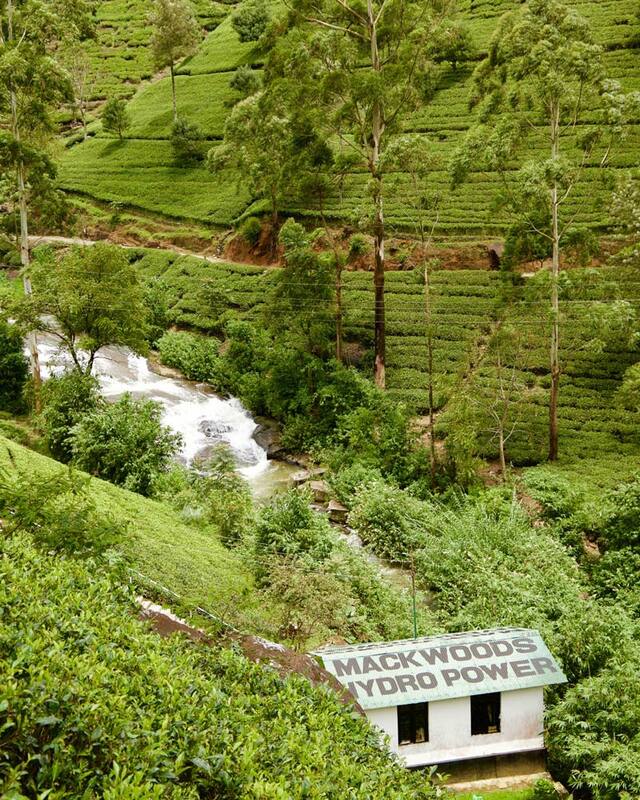 Certainly, not the cheapest but a great spot to grab a cup of the green stuff on the way to Little Adams Peak. The climb up the peak isn’t too hard going and it’s just a short walk from town, but the views you get of the villages bellow, the lush green landscapes and the mountainous terrain are a big reward for little effort. Ella Gap – a view point just off the town also has incredible views of the rolling countryside, I was told on clear days you can see to the coast. It was one of my favourite places in Sri Lanka, the hospitality of people shone through here like everywhere else visited. The guys at my guesthouse The Tenth Hotel couldn’t have done anymore to make me feel welcome. Kandy, the second city of Sri Lanka and home to the famous ‘Buddha Tooth Relic’ is something I’ll keep for another post. It is however the starting point of that train journey I can’t stop talking about and is certainly worth more time than being a pass-through in transit. Another popular stop along the route is Hatton. From here you can venture out to the real Adams Peak, a religious spot high above the world which is famous for its pilgrimages. You can also visit the Horton Plains, home to the fantastic worlds end viewpoint. Time and weather however werent on my side, but great write ups about both can be found on The Planet D blog (their photos will have you flying tomorrow!) and Fit Travels respectively. Have you been to Sri Lanka? What was your favourite spot? Hi, we are planning to do the Adam’s peak (Sri Pada) trek. 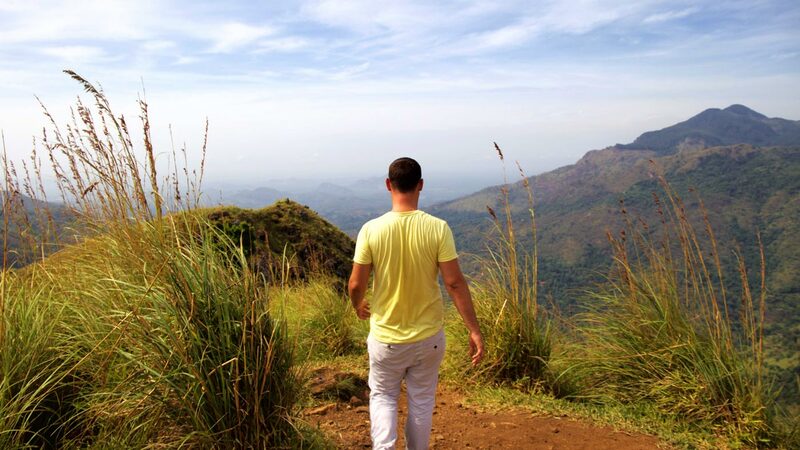 Can you tell us what is the best way to travel from Adam’s Peak to Mirissa? I’d say to get a car / driver to do that bit unless the busses have improved a lot since I visited. Have fun! 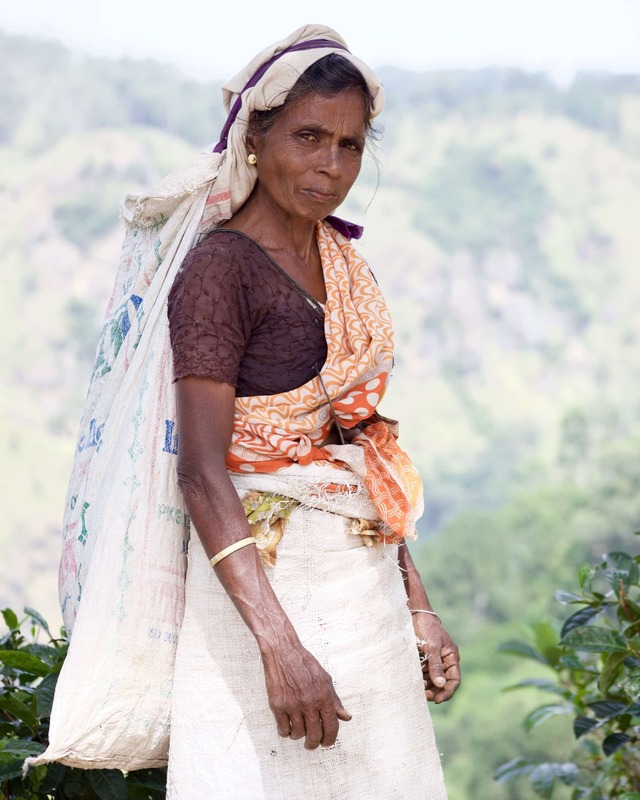 All your info on sri Lanka is super helpful and is making me excited for my trip in November! Any/as much info on this journey you have would be great, I really don’t want to spend too long in Colombo if I can help it! I have 6 days to see Sri lanka. If your could choose two places, where should I go? i love the beach as much as the safari. Help me out please. Hey! I’d consider looking at doing Yala national park and then one of the nearby beaches near Matara or Mirissa. The country isn’t massive so if you have the extra dosh to get a driver for a day or two you will be able to fit plenty in. Hi Dan, Thanks for the great review. I would like to know what dates you traveled. We are thinking of April, however are concerned about the rain. You hit the nail on the head again! 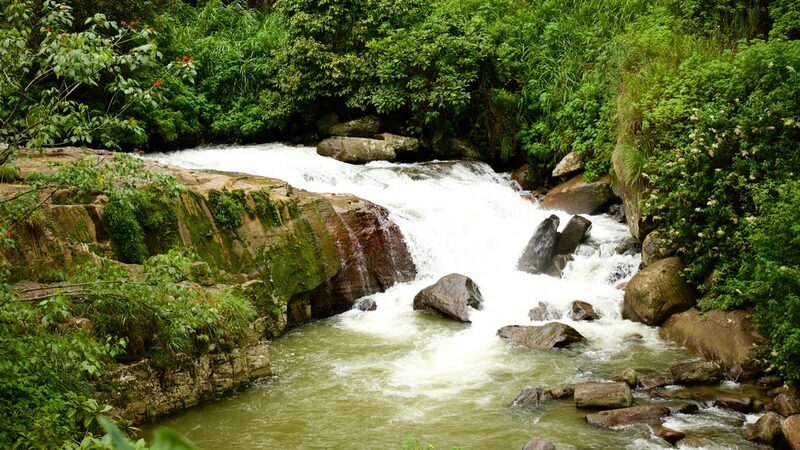 My favorite place is Horton Plains because of the nature walk and exotic flowers. It looks as though I have started a hiking group and maybe we can all go together when I get back. Really loving the memories you have been reminding of. Awwwwh thank you for reading and reminicisng! I am actually planning on going back myself next year and am super excited! Looks like you had a great time in Sri Lanka.Ella n Hortain plain are my top favourite places in the upper country.Love the train ride to Ella is a ride full of breathtaking views! 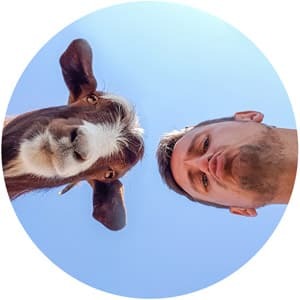 Love all your photos!All of them are amazing! Well, Dan. 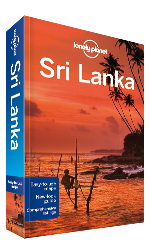 Of all of the sites I’ve looked through to find out information for my upcoming trip to Sril Lanka with my son, yours seems to be the best for me. Thank you. I appreciate it and thank you again for such a great site. Fantastic, I am so pleased you are finding it helpful and very excited for your trip to Sri Lanka. I actually skipped Yala because it wasn’t overly easy to get transport. Check out Rome to Rio (http://www.rome2rio.com/s/Yala-National-Park/Colombo) and they have a really long bus option! A driver might be the best choice, and it is not as expensive as in a lot of places. The other alternative would be to go along the coast, if you have a night to spare Mirissa or Unawatuna or Galle would all be a good beach spot. From Galle you can get an express bus (or train) back to colombo. There is also a train/bus line from Matara then on to Colombo in about 3.5 hours – all of these include getting a local bus or driver to Matara – if you are pushed for time and ease, a driver would be the easiest option. I found travelling around Sri Lanka pretty frustrating, the train stations lack a lot of information. Be careful with the Kandy to Ella train, the day I wanted to go it was fully booked so try and book at least the day in advance. Although first class is more comofortable, my rec would be the 2nd class reserved seat carriages, you are guaranteed a seat and the windows open to all for a better view (and photos!) Have a great time!